Copyright: © 2014 Universal Studios. ALL RIGHTS RESERVED. 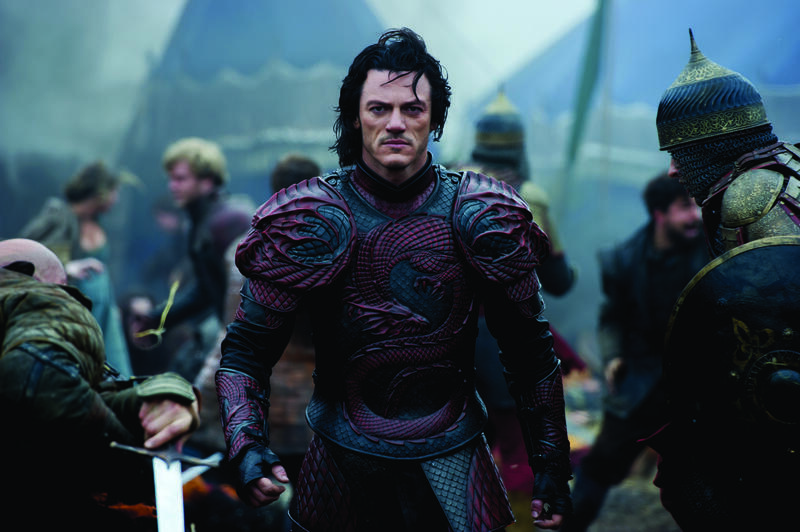 “Dracula Untold” has a few thrills and chills, but for the most part could have remained untold. 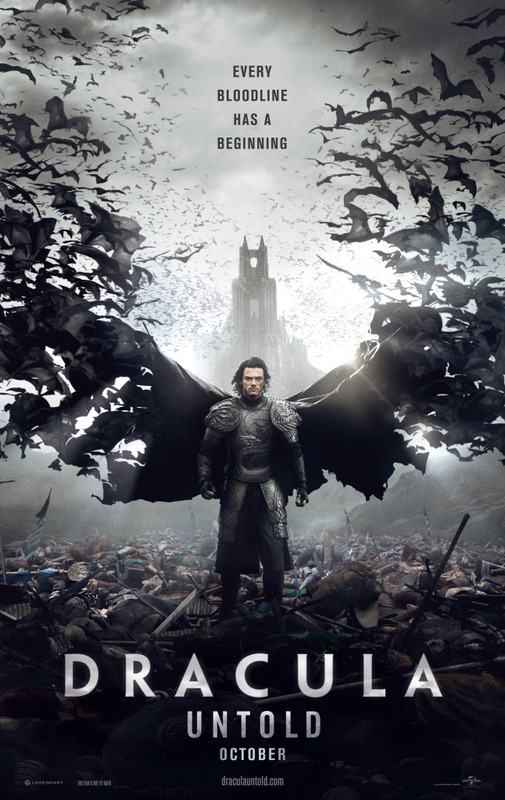 Entertaining in spots and featuring a solid, memorable performance from lead Luke Evans, Dracula Untold is a perfectly serviceable night out at the movies for fans of epic fantasy action/adventure films. Problem with that is it’s not typically the audience that Dracula and vampire films target. Lacking both the sensuality and the true horror aspects of the best vampire films, what you get instead is a film heavy on battle scenes, superpowers, and special effects. It may attract the Lord of the Rings crowd eager for something to tide them over until this year’s installment of The Hobbit hits theaters over the holidays, but it’s not not going to add to the vampire genre in any meaningful way, or earn Evans a place alongside Bela Lugosi, Christopher Lee, or even Gary Oldman in terms of memorable cinematic Transylvanian princes. The story echoes the tale told by the mysterious Count to young Jonathan Harker in Stoker’s classic 1897 novel: in 1462, the vampire was just a man, Prince Vlad Dracula (Evans), who as a child was sent by his father to the neighboring Ottoman Empire as a royal hostage to serve as a child soldier in the Sultan’s armies. As an adult, the prince has ruled his lands in peace for ten years, but during his days among the Turks, both allies and enemies came to call him “Lord Impaler” for his favored method of dealing with those in his way. Those bloody days still haunt him, and he serves penance for them by wishing only to serve as a protector to his people and a loving husband and father to his wife Mirena (Sarah Gadon) and son Ingeras (Art Parkinson). His hopes for prolonged peace and tranquility are dashed when an emissary of the Turks comes to Vlad’s court and demands more than simply the annual amount of silver in tribute. Sultan Memmed II (Dominic Cooper) means to march on Europe, and he means to bolster his soldiers’ ranks with 1,000 child soldiers taken from Vlad’s country, including Ingeras. Faced with surrendering his own child and his nation’s children as he was surrendered years before in order to buy peace, or risking thousands of lives by bringing down the Sultan’s wrath upon his tiny kingdom, Vlad looks to unleash dark powers hidden in the Transylvanian mountains to the north of his lands. He seeks out the shadowy figure living and feeding on those who stray into the caves of Broken Tooth Mountain (Charles Dance), who offers Vlad power that might be enough to save all that he holds dear, but at a terrible, bloody, and eternal cost should he succumb to the temptations that come with that power. With its compassionate take on its monstrous main character and his origins, Dracula Untold is sure to draw comparisons to 1992’s Bram Stoker’s Dracula, Francis Ford Coppola’s lavish and blood-soaked take on Stoker’s novel. Coppola’s film cast the vampire as a tragic, romantic figure battling to reunite with his immortal love against “God’s mad men”, the mortal men who see him and his goals as nothing less than abominations to be destroyed. This film also sets up Dracula as a tragic hero of sorts — a peerless warrior, a loving father figure and devoted ruler, but inevitably undone by the very same devotion and uncompromising love that made him so beloved by his family and subjects. In both cases he becomes a monster, but he does so driven by a purpose all of us can more or less understand on some level. But that’s more or less where the similarities end: whereas Bram Stoker’s Dracula was just another notable film in Coppola’s long and storied career, Dracula Untold is the feature film directing debut of Irish director Gary Shore. While there’s some innovation in Shore’s crafting of individual set pieces and scenes, for the most part his pacing and staging feels like proceeding through stages in a video game, each with growing complication leading up to the final confrontation with the big villain, the “boss fight”, to use gamer parlance. It makes the film terribly predictable — some of the finer details and plot points may surprise viewers, but for the most part, you know where this one is going very early in its running time. Add to that the aforementioned lack of any real elements of horror in this story, a critical element in all the best Dracula and vampire films, and what you get feels like Dracula-lite. It could be worse — it could be a Twilight film — but it certainly could have been improved by including more of what has helped the character be so enduring in Western cultural imagination for so long. In terms of positives, Dracula Untold does benefit tremendously from the work of its production and costume designers and visual effects artists, and from a solid, charismatic performance turned in by Luke Evans. It’s no surprise that the costumes in particular are so striking here — they’re the work of Ngila Dickson, who’s won multiple awards, including an Oscar, for her work on such films as The Lord of the Rings: The Return of the King, The Last Samurai, and The Illusionist. Dickson blends the worlds of fantasy and history in a stunningly seamless way, and when brought together with the sets and production pieces conceived by designer François Audouy (The Wolverine, Abraham Lincoln: Vampire Hunter) they bring to life a world that’s simply impossible to tear your eyes away from. As for Evans, Dracula Untold should stand as strong evidence of his ability to carry a film, as previously audiences have been treated to the Welsh actor in supporting roles in films such as The Hobbit: The Desolation of Smaug and Fast and the Furious 6. He’s next set to portray another dark hero who enjoyed success at the box office in the ’90s, Eric Draven, in the reboot of The Crow. Given how well he fares here, as one of the best parts of an otherwise mediocre film, he should be just fine following in the late Brandon Lee’s footsteps. Starring Luke Evans, Dominic Cooper, Sarah Gadon and Charles Dance. Directed by Gary Shore. Rated PG-13 for intense sequences of warfare, vampire attacks, disturbing images, and some sensuality.